Holsworthy Mafia’s sunshine machine is being sold tomorrow. The Holsworthy Mafia are well known for their awesomeness, we are so awesome, we invented the word awesome. In fact, we invented the word. The very first word ever said. Yes, that was us that did that. Among this awesomeness, we have also made a weather changing machine called…. The Sunshine Machine, but due to budgeting issues, we’re selling it tomorrow on eBay for £7.86. 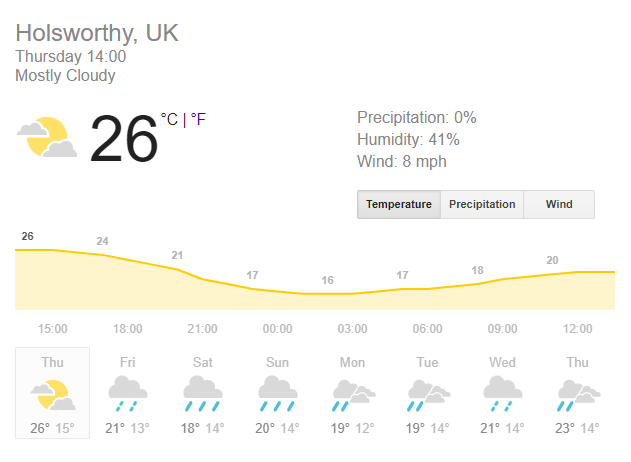 Since the machine is being sold, the sunshine will come to an end for Holsworthy with apocalyptic amounts of rain which may last in short bursts throughout the day. We have considered renting the machine back for £15/m once sold, but we are negotiating and will hopefully get this price down to £12 per month. Once the machine goes tomorrow, all the sunshine will end and will come back in short periods as per normal. The Don can only apologize, but in reality, he’s hot and couldn’t care. It also comes after South West Water issued a notice to the Mafia asking us to withdraw from making it sunny all the time, not because of the lack of water, but sunshine is simply too happy for this company and was making their staff work more productively and politely, and this just isn’t acceptable. One customer even complained after a shocking phone call to South West Water, she planned the whole morning off and had a box of tissues ready for the anxiety and stress she is used too when calling the water company, but they proved helpful and this was simply too much for the lady to handle.